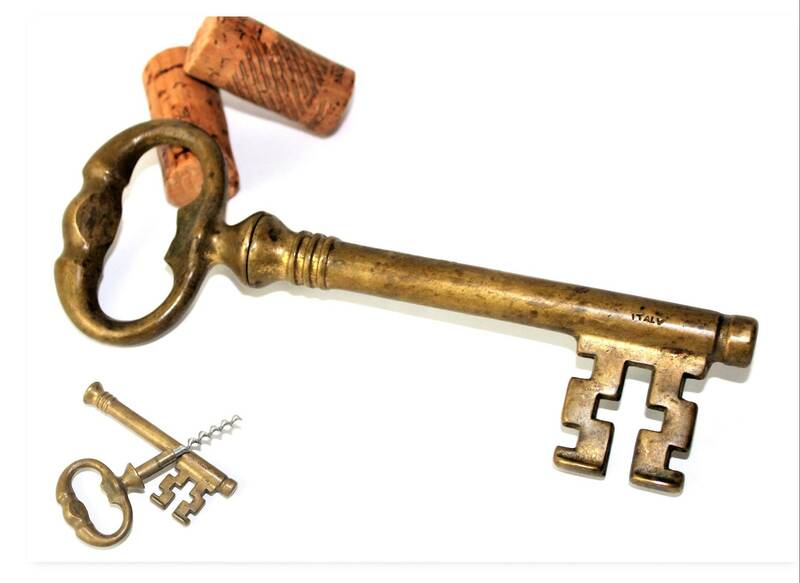 Wonderful large brass skeleton key with hidden corkscrew. 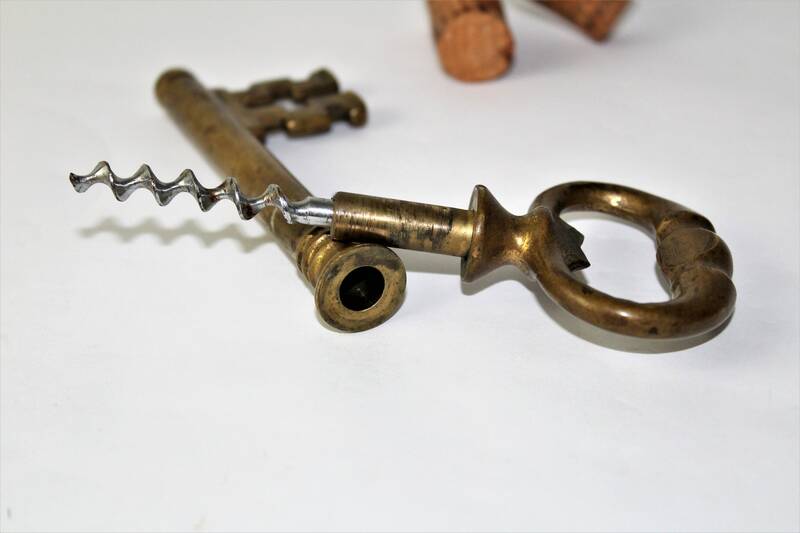 Pull the key apart to reveal the hidden corkscrew inside. 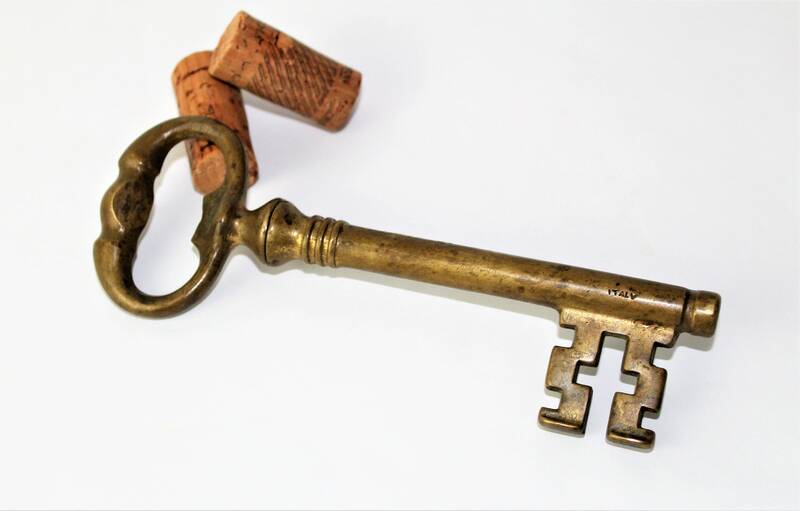 The handle of the key has a built-in bottle opener. 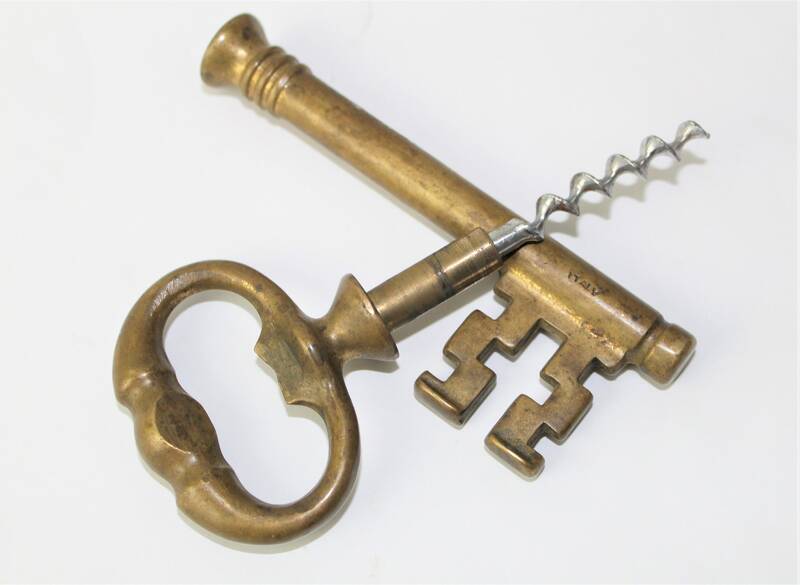 Made of solid brass with years of wonderful patina, the corkscrew is chrome-plated steel. Condition; Good with natural patina. Please see all pictures. **** We have a fixed shipping cost on all our items. If you purchase multiple items, the shipping cost will be recalculated. And we will issue a refund of all shipping cost overages once your purchase has been shipped. 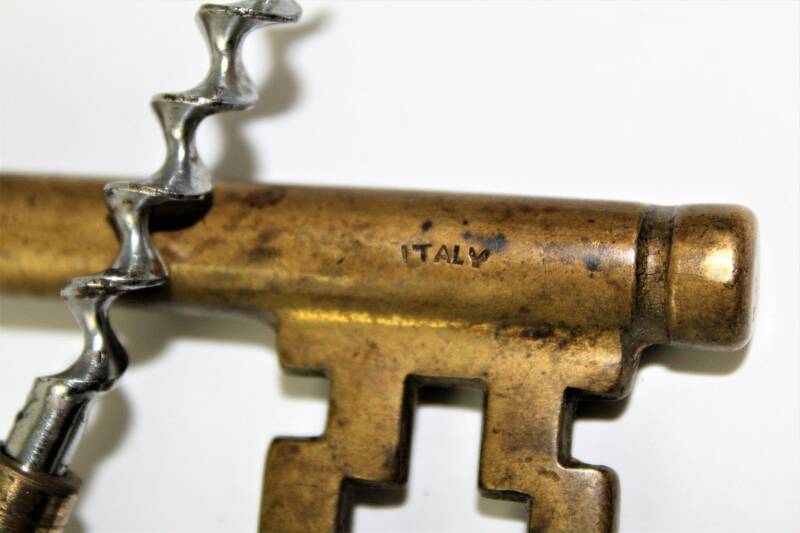 To see all our Antique & Vintage Corkscrews and Bottle Openers click the link below to go to our Etsy store also see our Barware section.